From the first day of the month of Av, mourning symbols are increased. Note that this year the fast of the 9th of Av is kept on the 10th Those halakhot will be up towards the end of the see,. These halakhot are published by the Halakha Hotline of the Five Towns. Ask your rabbi if they are not in keeping with your customs. 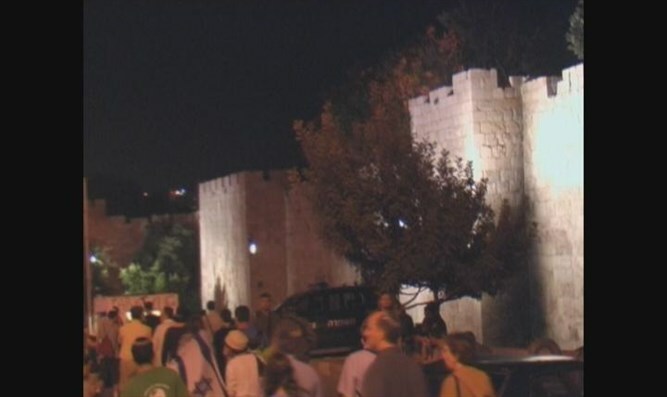 During the period from Rosh Chodesh Av until Tish’ah B’Av and also Motz’ei Tish’ah B’Av until chatzos hayom of the tenth of Av – see note), we conduct ourselves in increased aveilus (mourning) over the destruction of Yerushalayim and the Bais Hamikdash. This aveilus is manifested primarily through various restrictions (in addition to the ones that apply the entire Three Weeks), which were instituted by Chazal and the Poskim (halakhic authorities). The purpose of the more stringent restrictions is to help us focus our attention on the great tragedy of the churban habayis, from which we suffer to this day. Listed below are several categories of restrictions during the Nine Days. One may not acquire significant items that give onesimchah (joy), such as silver items, jewelry, a nice watch, or furnishings that are not necessities—such as a sofa or a recliner. (One may purchase beds or chairs if needed.) One may not purchase a new car if its intended purpose is for pleasure, not for utility; and one may not purchase a new computer if its intended purpose is solely for recreation. One may not purchase items of simchah in preparation for a wedding, or even order such items to have them delivered after Tish’ah B’Av, unless there would not be enough time to purchase the items after Tish’ah B’Av. It would seem that this allowance applies only to the choson (groom) andkallah (bride) and their parents; but see note. If not purchasing such items will cause one to incur a loss, one might be permitted to purchase them. One should consult a Rav. One may not begin construction or any home improvement project during the Nine Days – even if the work is performed by non-Jews – if the purpose is not to enable better “dwelling functionality” of the house. Thus, one may not paint or paper walls, install new carpet, build a deck, remodel one’s kitchen, or scrape floors. If necessary, one may make improvements that will enable the “dwelling functionality” of the house (e.g., one may replace broken fixtures and plaster walls that need repair; one may even add a new bedroom if necessary). If one hired a non-Jewish contractor who – before the Nine Days – began work that falls under the prohibition of “simchah” construction, and the work is not completed by Rosh Chodesh Av, the work may be completed during the Nine Days (see notes)., It is preferable, however, if possible, to ask the contractor to suspend the work until after Tish’ah B’Av, even if it will entail paying him a small sum to get him to agree. One may not plant trees, shrubbery, and flowers during the Nine Days. However, all normal lawn care is permitted: one need not cancel one’s lawn service for the duration of the Nine Days. One may not launder (wash, dry-clean, press, or iron) any clothing during the Nine Days, whether for use during the Nine Days or for after the Nine Days. One may not even drop off clothing at a non-Jewish cleaners during the Nine Days for laundering, even if one instructs them to launder the clothing after the Nine Days. In a case of necessity, one should consult a Rav. One may give clothing to a non-Jewish cleaners before Rosh Chodesh Av, even if one knows they will launder them during the Nine Days (see note). A sheitel (wig) is considered a garment and may, therefore, not be cut or washed during the Nine Days – even for use on Shabbos. One may brush and comb a sheitel, and set it in curlers to keep its current style (such as without heat), but one may not set it in a new style (such as with hot curlers). One may freely wash the clothing of infants, who constantly soil or wet their clothing. Similarly, one may wash, as needed, clothing of all children who constantly dirty their clothing. Some Poskim maintain that this applies even to clothing of an eight or nine year old. When washing children’s clothing in a washing machine, one may not add clothing of adults or older children. All clothing should be washed before Rosh Chodesh Av to provide ample changes of clothing during the Nine Days. (See, however, below regarding the donning of fresh clothing.) Nevertheless, one who has dirtied all of one’s clothing, or a family that has dirtied all of its towels, may wash them as needed (and use the fresh ones—see below) until the week of Tish’ah B’Av. Note: this year, when the Ninth of Av is on Shabbos and we fast after Shabbos – onMotz’ei Shabbos and Sunday, there is discussion amongst the Poskim whether there is no “week of Tish’ah B’Av” or the “week of Tish’ah B’Av” begins on the preceding Motz’ei Shabbos, the evening of the third of Av. One need not purchase additional clothing before the Nine Days to avoid the necessity of washing clothing and towels. However, if one could make good use of extra clothing and towels, it is better to purchase additional ones—even during the Nine Days—than to wash the dirty ones (see note). One may not don fresh clothing or change linen during the Nine Days. However, one who is receiving guests may provide them with fresh linen upon their arrival. Similarly, one who is a guest at a hotel may use the freshly provided linen. One should request that the linen not be changed during one’s stay at the hotel, unless the linen becomes soiled and unfit for use. If one’s clothing became dirty and unfit to wear, one may change into fresh clothing. Similarly, one may change underwear and socks when necessary. One who wishes to change one’s shirt freely during the Nine Days may—beforeRosh Chodesh Av—put on several shirts at one time and wear them for approximately 30 minutes. (By doing such, the shirts are no longer considered fresh, and may be worn freely.) If one forgot to do so during the week, one may don a clean shirt for Shabbos (see below), change into another clean shirt on Shabbos morning, change yet again onShabbos afternoon, and then wear all those shirts during the week. On Erev Shabbos, one may don freshly laundered clothing and Shabbos garments lichvod Shabbos. However, one should not don new clothing that had not been worn previously (see also note). One may place a fresh tablecloth on the table, but one may not change bed linens. One may polish shoes lichvod Shabbos. One may not purchase any new clothing during the Nine Days – even underwear and socks – even for use afterTish’ah B’Av, unless there is an unusual and significant sale. One may not make any alterations to new clothing even if they had been purchased before the Nine Days. One may repair previously worn clothing; e.g., replace a button, sew a tear, fix a hem, or resole shoes. If one forgot to purchase“Tish’ah B’Av shoes” (such as sneakers that do not contain leather) before the Nine Days and one has no substitute, one may purchase a pair during the Nine Days and even wear them for the first time on Tish’ah B’Av. Chazal assure us that whoever properly observes the customs of aveilus over Yerushalayim will merit witnessing the joy of its reconstruction. May we soon merit to witness the rebuilding of the Bais Hamikdash. In next week’s article, IY”H, we will discuss halakhot spertaining to eating meat, drinking wine, and bathing during the Nine Days. The halachos presented in this article are in accordance with Ashkenazic tradition. According to Sephardic tradition, most of the prohibitions do not begin until the week of Tish’ah B’Av, depending on one’s custom. Note, however, that this year, when the Ninth of Av is on Shabbos and we fast afterShabbos – on Motz’ei Shabbos and Sunday, the Sephardic custom is that there is no “week of Tish’ah B’Av,” except with regard to taking haircuts; see Shulchan Aruch Orach Chaim 551:4 and Kaf Hachayim 551:78. “Halachic Midday,” which is halfway between sunrise and sunset. This year, when the Ninth of Av is on Shabbos and we fast on the tenth of Av, after the fast is over most of the prohibitions no longer apply (since at that time it is already the eleventh of Av). The specific halachos will be presented in another article IY”H (Im Yirtzeh Hashem – God Willing). See last week’s article. Included in that article are several circumstances that allow one to be lenient regarding certain prohibitions of the Three Weeks, but during the Nine Days apply in full-force. Our Sages, may their memories be blessed. Destruction of the House (i.e., the Bais Hamikdash). See Mishnah Berurah 551:14 and Machaztis Hashekel 551:8. (See also Koveitz Halachos, Bein Hametzarim 12:7.) If the choson already has a son and a daughter from a previous marriage, the allowance does not apply. While, as mentioned, it would seem that the allowance applies only to thechoson and kallah and their parents, it is possible that the allowance could apply to all integral members of the wedding entourage whose lack of appropriate clothing would cause extreme embarrassment. One should consult a Rav. This leniency applies only regarding a non-Jewish contractor who is paid by the job, not a laborer who is paid by the day or the hour. If the contractor is Jewish but having him suspend work for the Nine Days will cause him to reschedule the continuation of the job for a much later date, one should ask one’s Rav. If one needs the clothing for Shabbos (see below in the article, end of section entitled “Donning Fresh Clothing”; see, however, note 16), one may then pick up the laundered clothing during the Nine Days. Although some Poskim in earlier generations (see Aruch Hashulchan end of 551:15) prohibited one from picking up clothing from a cleaners during the Nine Days – probably due to the concern that one who sees a person doing such might mistakenly think that one may launder clothing during the Nine Days – the contemporary Poskim (see Koveitz Halachos, Bein Hametzarim 11:4) are lenient in the matter, since nowadays everyone is aware of the possibility/probability that one is merely picking up clothing that had been dropped off before the Nine Days. One may rely on the lenient opinion if the clothing is needed for Shabbos. See S. A. O.C. 551:4; Magen Avraham 551:35; Pri Megadim; Aishel Avraham 551:36; Hilchos Chag B'Chag (Karp) page 89. If relevant, one should consult a Rav. If due to the lengthy “week of Tish’ah B’Av” one runs out of clean clothing and has no use for additional clothing, one should consult a Rav. For the honor of Shabbos. If the new clothing had been worn even once [for several hours] before Rosh Chodesh Av, one may wear them during the Nine Days as well (Kaf Hachayim 551:87; Koveitz Halachos, Bein Hametzarim11:30). If not, they are considered new and may not be worn during the Nine Days (see Rema O.C.551:6 and M.B. 551:45). Kaf Hachayim 551:96; Igros Moshe O.C. vol. 3 #80. Im Yitzeh Hashem (G-d Willing). In last week’s article we began discussing the halakhot of the Nine Days. In this week’s article we continue the discussion. Ashkenazim may not eat any meat or fowl (e.g., chicken or turkey), or drink any wine or grape juice, during weekdays of the Nine Days. It is customary not to eat any food that was cooked together with meat, even if the meat was later removed. (E.g., one should not eat even the beans and potatoes of leftover cholent.) One may eat non-meat food that had been cooked in a clean meat pot—even if the pot is a ben-yomo. A person who must eat meat for health reasons (e.g., a person who is ill or even a nursing woman who must eat meat) is permitted to eat meat. If such a person can satisfy one’s need with fowl instead of beef, if is preferable that one do so. If possible, such a person should refrain from eating meat and fowl beginning from the seventh of Av. Many Poskim (halachic authorities) permit children younger than age six years to eat meat. One who mistakenly recited a b’rachah over meat or wine should eat/drink a small amount of the meat/wine to avoid ab’rachah l’vatalah. One may use wine-vinegar during the Nine Days. One should not give children (ages six and older) ices made from real grape juice. For Havdalah: If there is a boy present ages 6-8 who can drink the wine (or grape juice), preferably the boy should drink it, not the one reciting the havdalah (see note). If a boy of this age is not present, the mevareich should drink the wine himself – since havdalah over wine is preferred – rather than use beer or other chamar medinah to avoid drinking wine. Note: This year, when the ninth of Av falls on Shabbos and we fast on Motz’ei Shabbos and Sunday, we recite havdalah on Sunday night, after the fast. For thathavdalah, the mevareich may drink the wine even if a young boy is present. During the Nine Days, one may not bathe or shower one’s entire body even in cold water. One may wash one’s hands, face and feet using cool water, but not warm water. During hot, humid weather, one who must shower may wash only those parts of the body that need to be washed – even with soap – and with cold or lukewarm water. In hot, humid weather, when one must bathe one’s entire body, one should wash one limb at a time. Infants (younger than three years old) may be bathed in the usual manner. Other children (through age 5—perhaps even through age 8) may bathe in lukewarm water as needed. On Erev Shabbos, some have the custom to shower or bathe regularly lichvod Shabbos. According to the Mishnah Berurah, one should shower in the more stringent manner described in the previous paragraph, but with one leniency: one may wash one’s hair, face and hands with warm or hot water. This year, when Rosh Chodesh Av is on Erev Shabbos, one may bathe one’s entire body in the regular manner – using hot water and soap (even according to theMishnah Berurah). However, on Erev Shabbas Chazon(this year on the eighth of Av), the regular halacha applies. A woman who is preparing for tevilah should bathe in the regular manner, even during the week of Tish’ah B’Av. Men who go to the mikveh every Erev Shabbos – lichvod Shabbos – may do so also on Erev Shabbos during the Nine Days. See note. One may trim one’s nails until the actual week of Tish’ah B’Av. This year, when the Ninth of Av is on Shabbos and we fast after Shabbos – on Motz’ei Shabbos and Sunday, one may trim one’s nails on Friday lichvod Shabbos (see note). A woman may trim her nails for purposes of tevilah even during the week of Tish’ah B’Av. I.e., it had been used for cooking meat within the last 24 hours. See Aruch Hashulchan, Orach Chaim 551:26 and Ohr L’tziyon vol. 3 26:6. A father is obligated in the chinuch (training) of his young children (under bar- and bas-mitzvah) to perform mitzvos that the children will be obligated to perform when they become older. (Some say a mother is also obligated in chinuch of her children; see Mishnah Berurah 343:2 and 640:5) In general, the age of chinuch is 6-7, depending on the maturity of the child. With regard to the restrictions of the Three Weeks and Nine Days, see M.B. 551:81 with Sha’ar Hatziyun #91 and M.B. 551:70. Sh”ut Hisorerus Teshuvah 2:169. Note: this year, to’ameha of meat foods is forbidden on two days – Rosh Chodesh Av and the eighth of Av. Igros Moshe O.C. 4:21 #4. 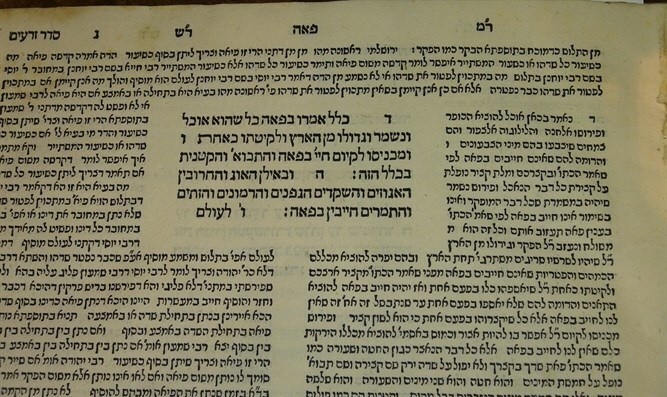 To satisfy their obligation of kiddush (if they have reached the age of chinuch – see note 4), they should either recite their own kiddush (if they are eating after plag haminchah, the earliest time one may accept Shabbos) or extend their meal (if possible) such that they will hear an adult recite kiddush at the adult’s Shabbos meal. This halacha applies to Ashkenazim (Rema O.C. 551:10). The custom of Sephardim is to allow themevareich (see note that follows) to drink the wine (S.A. O.C. 551:10). The one reciting the b’rachah (of havdalah). Literally: the wine of the country; i.e., commonly drunk beverages, such as whiskey or beer. SeeS.A. O.C. 296:2. See Koveitz Halachos, Bein Hametzarim, 9:19 with note. Ashrei Ha’Ish (page 469), citing Rav Elyashiv. M.B. 551:89; see Dirshu Mishnah Berurah n.e. note 104 for an explanation and elaboration. Ritual immersion in a mikveh. M.B. 551:95. Ashrei Ha’Ish (page 470) cites Rav Elyashiv that men who go to mikveh daily may not do so on weekdays of the Nine Days (except on Erev Shabbos for Shabbos). However, Aruch Hashulchan (O.C. 551:35) and Sh”ut Sheivet HaLevi (8:127 #1) permit one who goes regularly (beforedavening) to do so. One who follows their ruling should not immerse in a hot – or a warm – mikveh if a cool mikveh is available. If only a warm and a hot mikveh are available, one should immerse in the warm one, not the hot one. Showering before use of the mikveh follows the standard guidelines for bathing (as above in the article). However, if mikveh rules require one to shower before immersing, one may take a shower (even if one is not dirty or perspired), but the water must be set to cool, not warm or hot. It is highly questionable if one may shower after immersing – even if one does so merely to remove the chlorine – unless one’s skin is very delicate or one is inordinately particular about cleanliness (such that one has a halachic status of ist’nis). Taz O.C. 555:13. Koveitz Halachos, Bein Hametzarim, 6:15 with note. M.B. 551:20. As noted in last week’s article, when the Ninth of Av is on Shabbos and we fast afterShabbos – on Motz’ei Shabbos and Sunday (as on this year), there is discussion amongst the Poskimwhether there is no “week of Tish’ah B’Av” or the “week of Tish’ah B’Av” begins on the precedingMotz’ei Shabbos, the third of Av. With regard to cutting nails lichvod Shabbos, one may be lenient. Our Rabbis, may their memories be blessed.